← What can you eat? My labs did not improve dramatically, or at all. And the scale moved only one pound. But my size changed dramatically. 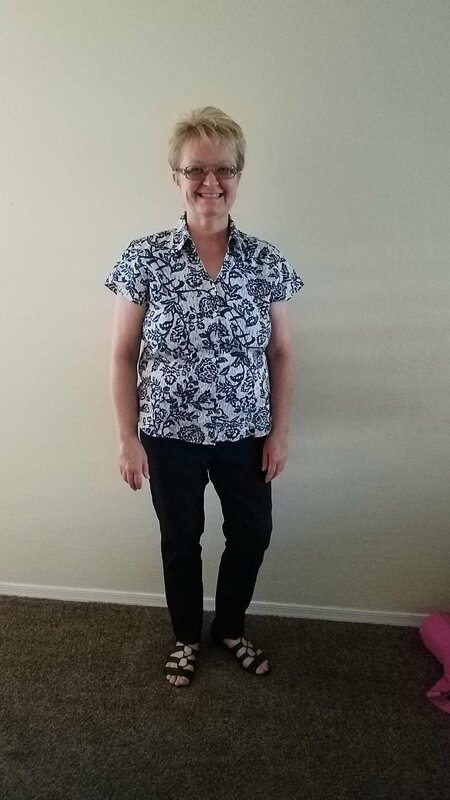 New clothes; old clothes fitting better. I haven’t worn that shirt since I was on chemo 9 years ago. I see that shirt and think of the challenges I have won. I am my chemo weight. Now, there’s a sentence I never thought would be part of my life. That picture shows that consistency wins. Sure, I have a long way to go. I see the problems there (probably too much), but it shows that progress has happened. That is a story all by itself. I have tried to lose weight and gotten so frustrated I just threw my hands in the air — a familiar tale, I’m sure. Yes, I am on a couple of meds that make it hard. But hard is NOT impossible. I will win, even if it painstakingly slow. I have hated to see myself in pictures so much that I have refused to take any. And if any were taken, I could not look at them. I am okay with that now. What a tale that is! I hate it when people hate looking at themselves in pictures, because I love seeing their face in pictures. But I was living quite the double standard when it came to seeing myself in a picture. I am working on leaving that behind me. I think of my kids when I see this pic. I think of them because they helped me and encouraged me so much on this journey both of health and of weight loss. If I would say something ugly about myself they would admonish me (and I appreciated that). I love being their mom and am so glad we won the battle nine years ago and I get to be Nana to their littles. When I see this picture, I think of my mom. Not just because it is Mother’s Day, but because I bought that shirt to wear to her 70th birthday party (sorry, Mom, I told your age). I had to fight my doctor to allow me to travel to her big 70th bash and it took the stuffing out of me to attend. It was completely worth it. She was a half a country away from me during those ugly years, but the phone lines burned up with her reaching out and comforting and encouraging and worrying. It is a story of acceptance, survival, pursuit, goal setting, accomplishment, and family, It is a story of happiness not wrapped in anything except the joy of life. Pursue your health, reach for your dreams, stay steady in the middle of the journey. Happy Mother’s Day, Pat! So glad you are doing well. You look great! You should be proud.